A fitting tribute for older fans. In the past, we reported on how the new Detective Pikachu film appears to be marketed towards an older crowd of Pokémon fans. This theory recently received another boost in validity after Warner Bros. announced that moviegoers who attend early screenings of Detective Pikachu will receive exclusive Pokémon trading cards. 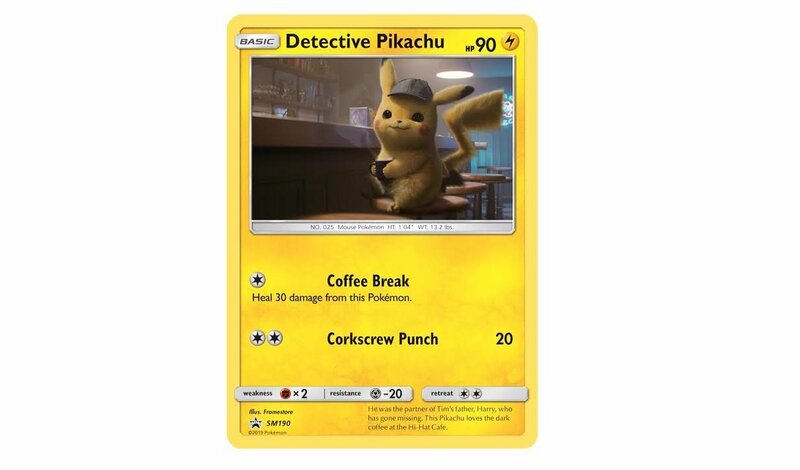 Moviegoers will have an opportunity to get their hands on exclusive promo cards for Detective Pikachu. If the offer sounds familiar, it’s because it mirrors promos in the late 90s and early 2000s for Pokémon films where moviegoers were rewarded with special cards. For example, there were cards released in conjunction with Pokémon: The First Movie, and an Ancient Mew card given out alongside tickets for screenings of The Power of One in the United States. As for what fans can expect from the Detective Pikachu promo offer, Warner Bros. notes a two-pack will be given out that includes a limited-edition Detective Pikachu card, along with a random card from the latest Pokémon expansion. While the latter may vary in value depending on what you get, the Detective Pikachu card will likely be a boon for die-hard collectors, and those looking to resell cards on sites like eBay. To ensure you get your two-pack of cards, Warner Bros. encourages people to grab their tickets as soon as possible. Keep in mind that buying a ticket doesn’t guarantee you’ll receive the two-pack as supplies are limited on a theater-by-theater basis. That said, we’re excited at the opportunity to relive moments from childhood, as we still have fond memories of admiring our new Pokémon cards before the start of movies like The Power of One. Seriously, we missed all of the previews while we were inspecting our new Ancient Mew card and we regret nothing! After hearing that early Detective Pikachu screenings will over limited-edition promotional cards, what are your thoughts? Have you already bought tickets, or are you planning to wait until the theaters are a little less crowded before you head out to see Detective Pikachu? Let us know down in the comments below! Detective Pikachu is scheduled to hit theaters on May 10, 2019.